I like the bag. I also love bookish accessories! You should definitely check out Out of Print Clothing if you haven't already done so! They have really cool stuff and I actually own a tote bag and T-shirt from them! THAT ONESIE! So cute! I've never seen it before, so thank you for sharing! I need a Harry Potter pillow! I do have a bit of bookish goodies; they are so fun. It's addicting though. I want it alllll. I want all the bookish things! My favourites from your collection is the awesome infinity scarf and those mugs. Last year I bought a red "Talk Nerdy To Me" tote bag, which I absolutely adore and a Kate Spade travel mug that has a book design all over it. 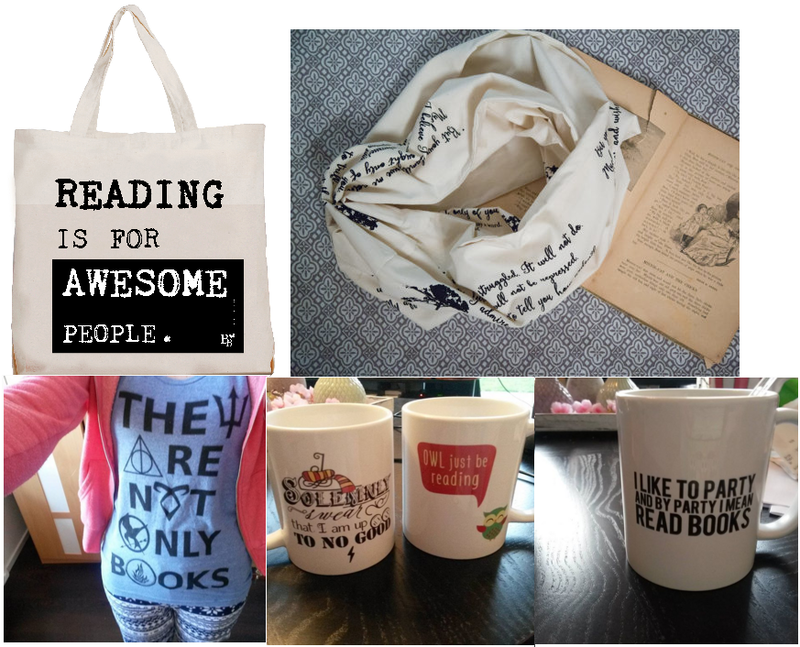 I love bookish accessories and always end up wanting them all!! I'm slowly but surely building up my collection. I love those book pillows! She has an Alice in Wonderland one that is so cute and I want it so badly and I am so broke. 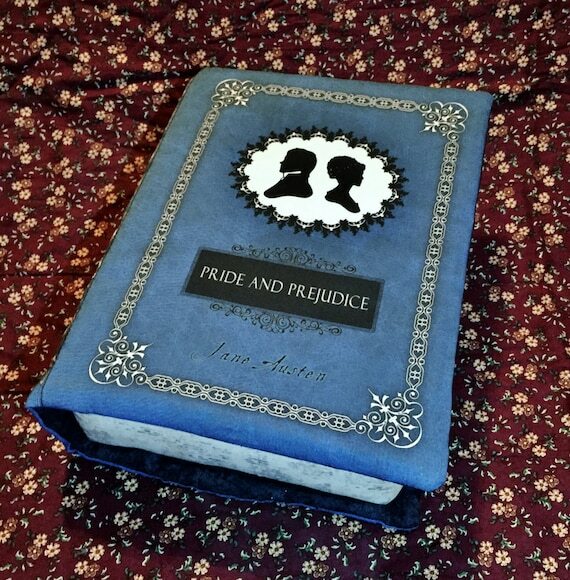 The front flap of the pillow opens and the first page of the book is printed on the plush inside. I want them all so badly. I don't really have any bookish accessories but this make some want some sooo bad! Agree with Shannon! I do not know what is a mighty power that draw my eyes to your photos and products but they are badly beautiful! My team from here http://essaykings.co.uk/ supposes you're a genuine talent!